Many thanks to all of you for your amazing contributions and for the opportunity to see and learn about so many different, new flowers from different parts of the world. 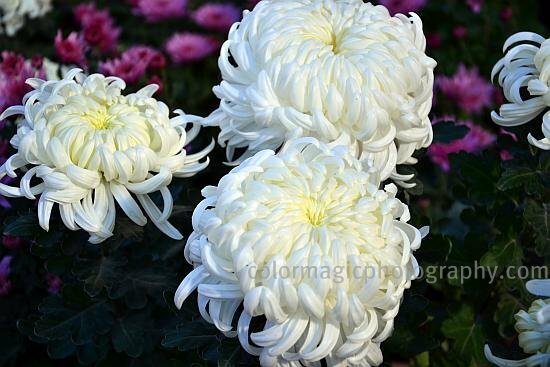 Our flowers are long gone, so I'll share some white chrysanthemums from this autumn. 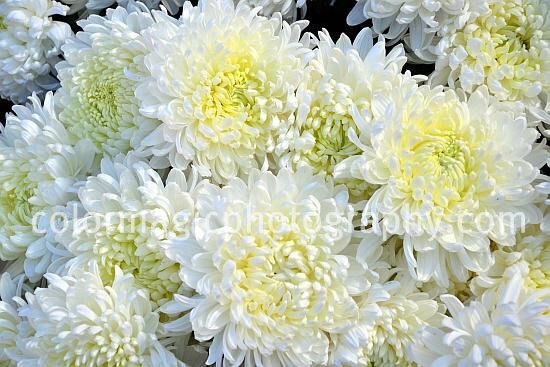 Great shots of the beautiful, white chrysanthemums. Our flowers are long gone too. The white chrysanthemums are use by the Chinese during funerals while the yellows are use as offering at altars and for home decorations. They tend to last much longer than most flowers and are always a best seller at florists. You always manage to achieve such remarkable realism. One would think it's easy to do, but I know better. My hat's off to you. I can almost smell the crisp freshness. Such perfect flowers! I love chrysanthemums. Great macro shots. Gorgeous details of the chrysanthemum's petals. I find it difficult to photograph white flowers, but you've done a great job Maia. Beautiful mums. Showy displays well-captured,Maia. I'm late but still glad to have joined in and enjoyed all the blooms around here.